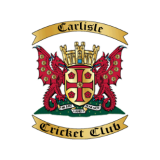 We can announce junior presentation nights to be held at Carlisle CC. Each member of the U-11 age group is invited to attend Edenside on Wednesday September 12th from 6.30pm. There will be certificates for all players, plus some individual awards. For those in the U-13 and U-15 age groups, the presentations will be held on Friday September 14th from 6.30pm at Edenside. Again, there will be certificates for all players, plus some individual awards. We'd like to see as many young players and their parents there as possible to celebrate another great year of junior cricket at Carlisle CC. Juniors are the foundation and the future of the club, so come along and celebrate your success and hard work.